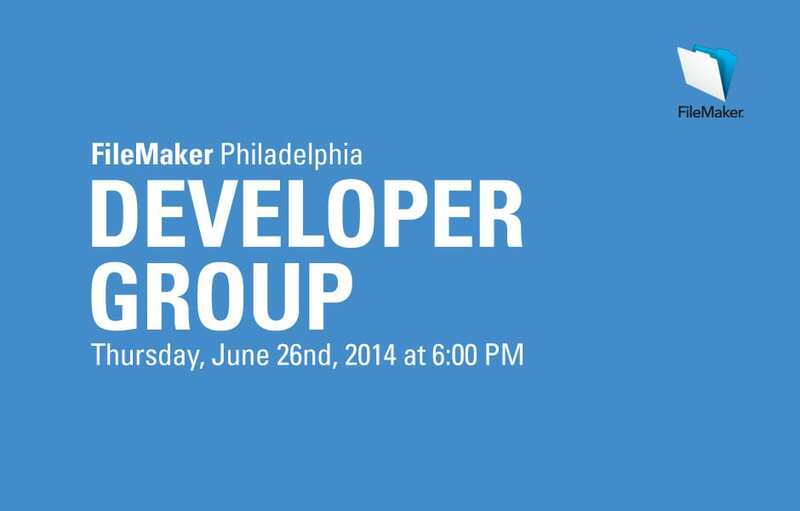 Philly FileMaker Meeting Thursday 6/26/2014 . FileMaker Go can easily be set up to run a kiosk solution, but what if the kiosk needs to handle a high volume? Maybe it needs to check in hundreds of people for an event or assign equipment to employees. This session will discuss how you can integrate FileMaker Go with 3rd party hardware (RFID and magnetic strip readers) and use the new bar code reading capabilities in FileMaker 13 to let you handle hundreds of records in minutes. The session will also cover the pros and cons of RFID, mag strips, bar codes, and native touch keyboard entry. Please RSVP here if you are planning to attend this meeting. As always, pizza will be provided after the presentation, around 7:15 PM, along with post-presentation socializing and discussion. About Kevin Ayers - Kevin began his obsession with databases at the age of six, helping his father enter invoices into the computer because “it was fun”. In 2003, he began work as the in-house FileMaker developer for Drexel University’s College of Engineering, and since then has become the database manager for the College of Engineering as well as serving as an advisor to Drexel’s centralized IT on the university wide enterprise systems. He is a FileMaker 9, 10, 11, 12 and 13 Certified developer, and has presented at his local user group, PhillyFileMaker, and PauseOnError. About the Philadelphia FileMaker User Group - The Philadelphia FileMaker User Group was founded in 2004 as an initiative by FileMaker Business Alliance Platinum member IT Solutions Consulting. The group’s goal is to provide an open forum for FileMaker developers and those interested in FileMaker to meet, brainstorm and network. We hold meetings the 4th Thursday of every month at 6PM, in the office of IT Solutions Consulting, Inc., at 414 Commerce Drive, Suite 150, Fort Washington PA.
Our next Philadelphia FileMaker Developer Group meeting has been scheduled for Thursday evening, June 26nd, 2014 at 6:00 PM. The meeting will be held at Drexel University. We’re pleased to have Kevin Ayers of Drexel presenting on Creating a High Volume Kiosk System with FileMaker Go. Kevin will be presenting on this topic at FileMaker DevCon 2014.